A new client who run a week of events in the Town culminating in a whole day of activity which is well supported by the local community. Access could only be described as a bit tight and the field had been subject to the British summer in the week leading up to setting up onsite. We worked with a very efficient sound team from XL Video who asked to fly the arrays from our PA wings. Customers are satisfied and we are expecting to have discussions about 2017 ! Photography is by Kris Gruber (krisgruber.com). Last year we were at Goat Fest in a pub carpark entertaining 400 people - and this year it was held on the Great Field in Codicote with around 2500 people enjoying the new venue. We had a few interesting levels to overcome to deliver a solid stage for this weekend event. There was a bit of sun and a bit of rain but it didn't detract from the entertainment. The clients chose to operate the lighting system and we gave them our DMX computer to use. All worked well and it looks like we're back again next year. This was a returning client who was pleased with what we delivered in 2015. The stage location was different this year but there were challenging levels to overcome and we had to ensure the PA wings could be levelled correctly on the incline. The clients provided sound while we provided Stage, Lights and Generator power. 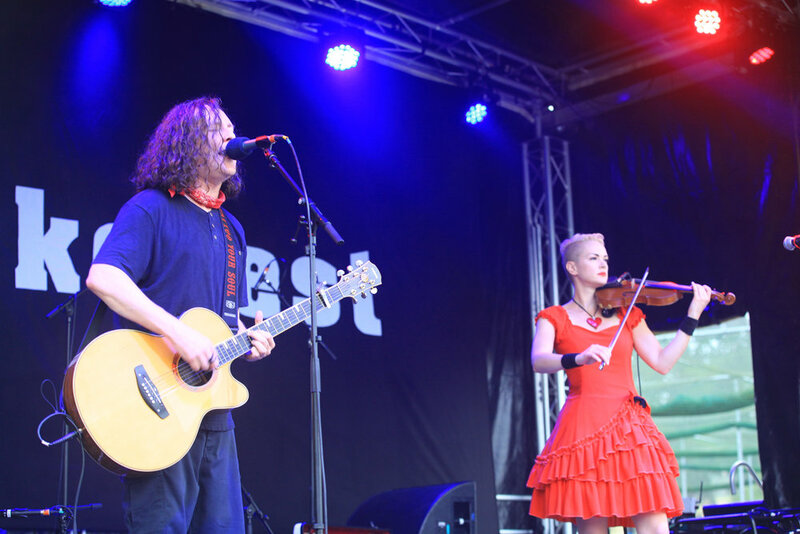 Weather was a bit variable but it didn't deter the 2,500 customers who were entertained by Miles and Erika from the Wonderstuff, Republica - they were Ready to Go ! and James Walsh from Starsailor. Berkofest has turned into a major family event and we hope to be back again next year. We were hired by XPG Events to provide the stage for this very well attended annual event. We set up the day before to give contractors time to build a catwalk for the Watford players to walk down after being announced onstage. there were around 6,000 people there to meet the players and get autographs ! We mucked in and did some stage management work for artistes who came along to entertain the crowds. It was a very different event and we had a good time as well ! Arpeggio in the premier league at last. Another new client for 2016. This was a Festival for people with sensory challenges. We delivered the complete package of Stage, Lights, Sound and Power. And for good measure we acted as Stage Managers as well ! It was a pleasure to be involved in the inaugural event for what is a niche market. This time round the venue was as flat as a pancake and the dry weather gave us a firm base to build off. The sound was high quality and not too loud and we made sure there were no flashing lights. The aim was to create a mini Reading Festival in a relaxed environment - so those who may not cope with a full on festival could enjoy stress free live music. We had people signing lyrics for those with hearing issues - that's how inclusive this event was. Looks like we're back next year . New clients who wanted to make a big impression for the 80th Anniversary of Osidge Primary School in Southgate. We did the whole package as a single point of contact for the School Association. A nice solid school yard to work off. 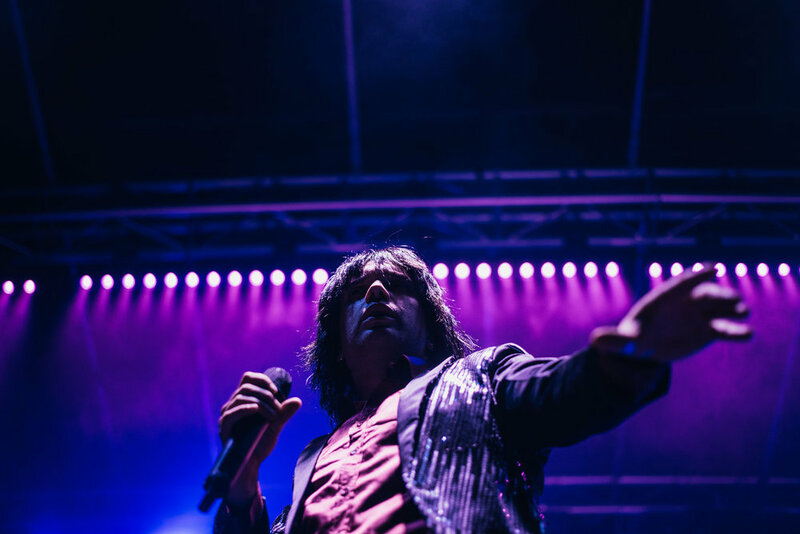 The entertainment onstage varied from singing "princesses" to football juggling skills, a bake off competition and a bit of rock and roll as well. A great family day was had by all. This event last year was the Beer and Music Festival. This year it was a Royal occaision. We were sited on the main High Street this time with a few minor levels to contend with. The place was packed as the good folk of CSG had a true English party. Couldn't happen anywhere else. We had a good time with it as well ! The ever popular Stanford Festival. This event can pull in up to 6,000 people depending on the English/Essex weather. This was a new location for 2016 to give the customers a bit more space to spread out and enjoy the event. Set up was a bit tricky due to the strong winds and we delayed raising the roof until very early on festival day. We hope to be at Le Hope in 2017 !